No waiting zones could be introduced in a number of roads in Polegate in a bid to alleviate parking problems. 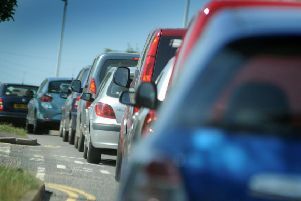 East Sussex County Council wants to bring in no waiting at any time zones in stretches of Eastern Avenue, North Close, Dover Road, Romney Road, Hythe Close, Victoria Road and Windsor Way with a no waiting zone Mondays to Fridays between 8am and 2pm. It is asking the public for their views and the consultation runs until May 21. A council spokesperson said, “A number of safety concerns relating to parking have been raised at various roads in Polegate. “The council’s reasons for proposing the traffic order are to aid turning movements and improve visibility at junctions; to contribute to improved road safety; to aid vehicular flow and to facilitate access by refuse collection vehicles. “We have carried out a number of investigations and initial consultations have been conducted. Based on the feedback received, we are now formally advertising changes to parking controls.